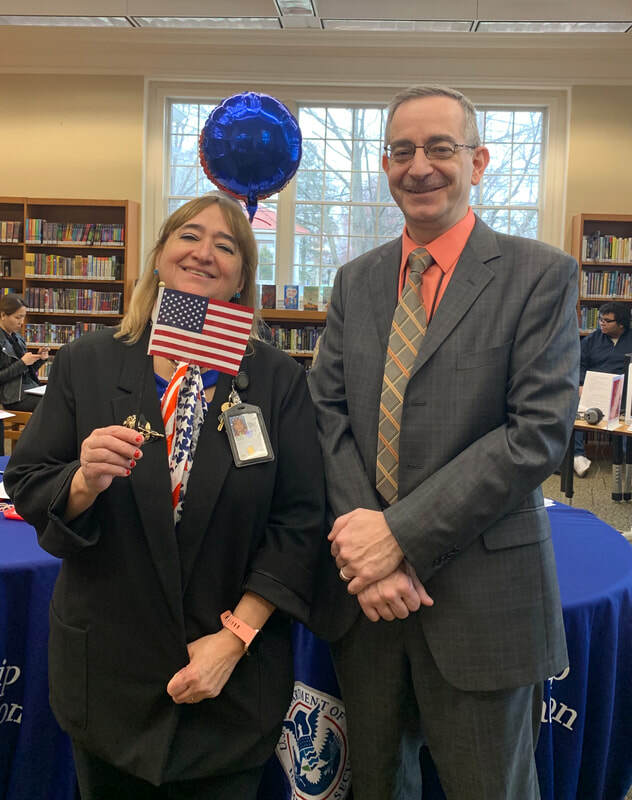 It is with great pride that Westwood Library hosted its 2nd Citizenship Ceremony with USCIS on April 9th. 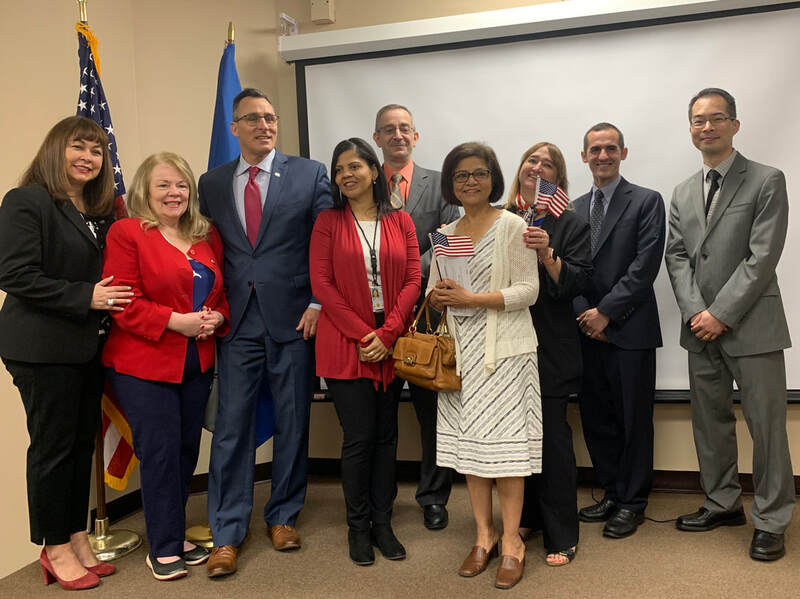 Twenty Bergen County residents from 12 countries were sworn in as US Citizens during the ceremony after fulfilling the requirements set forth in the Immigration and Naturalization Act of 1965. The ceremony commenced with the Presentation of Colors by the Bergen County Sheriff's Office, followed by Westwood Regional High school student, Taylor Andresen, singing the National Anthem. 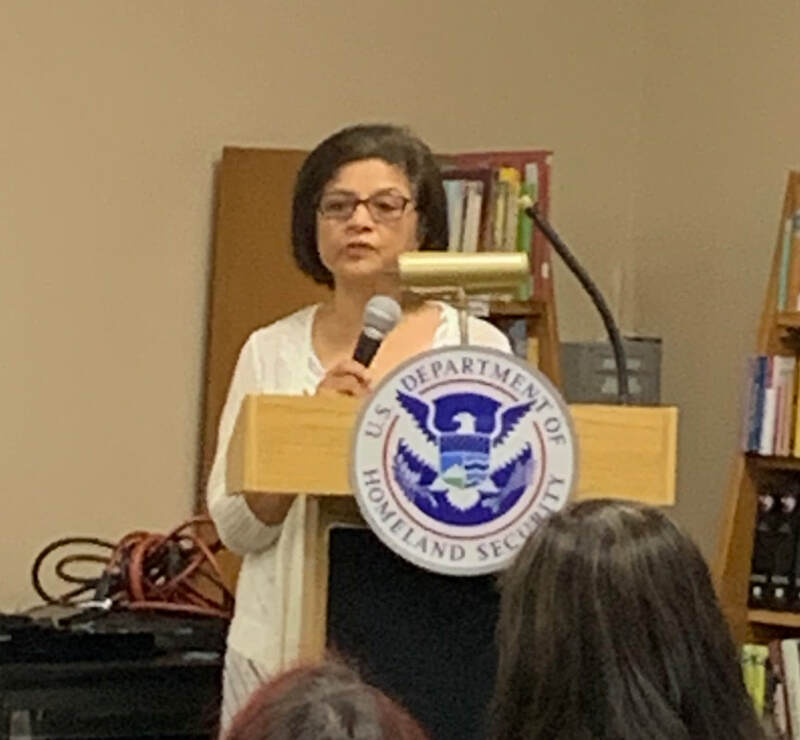 Rashida Tewarson, LVPV ESL tutor and naturalized citizen, presented the keynote speech. Rashida reflected on her experience coming to the United States and integrating into the community. 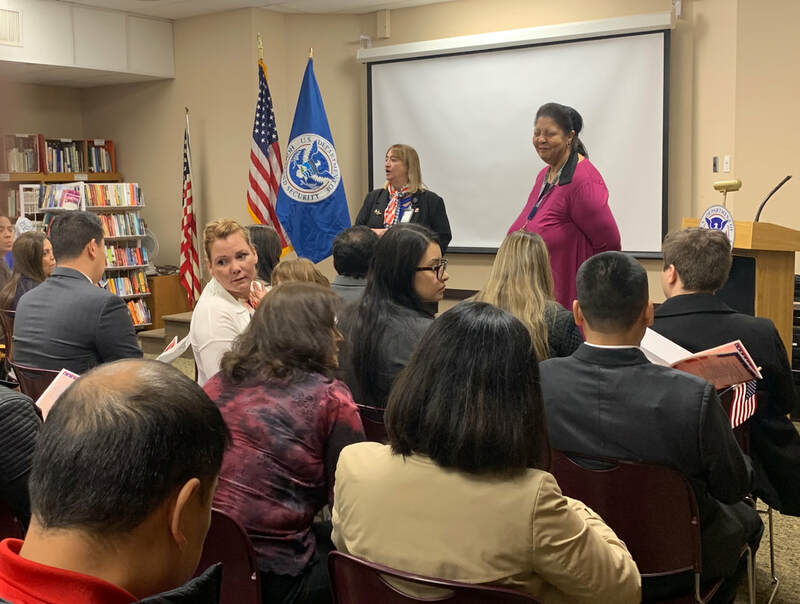 Rashida spoke of her experience as an ESL volunteer tutor, teaching not only the English language but American culture to help newcomers feel connected to the community. 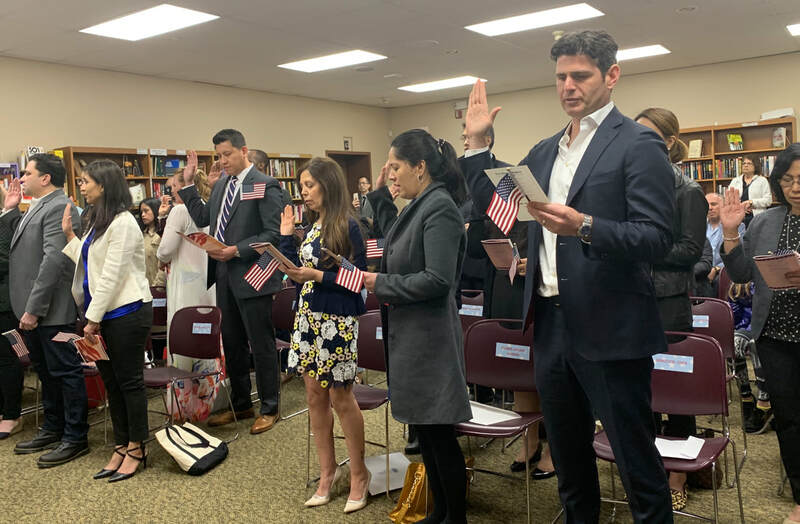 She spoke of the duty of new citizens to participate in civic life, including the responsibility to elect local, state and national representatives and serve on a jury. 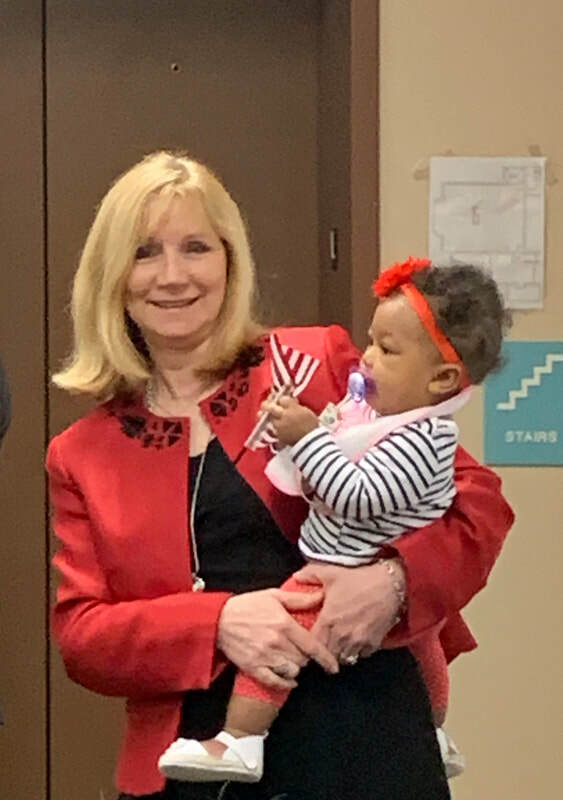 Assemblywoman Holly Schepisi spoke of her ancestors’ journey from Italy and opportunities she received as a result. 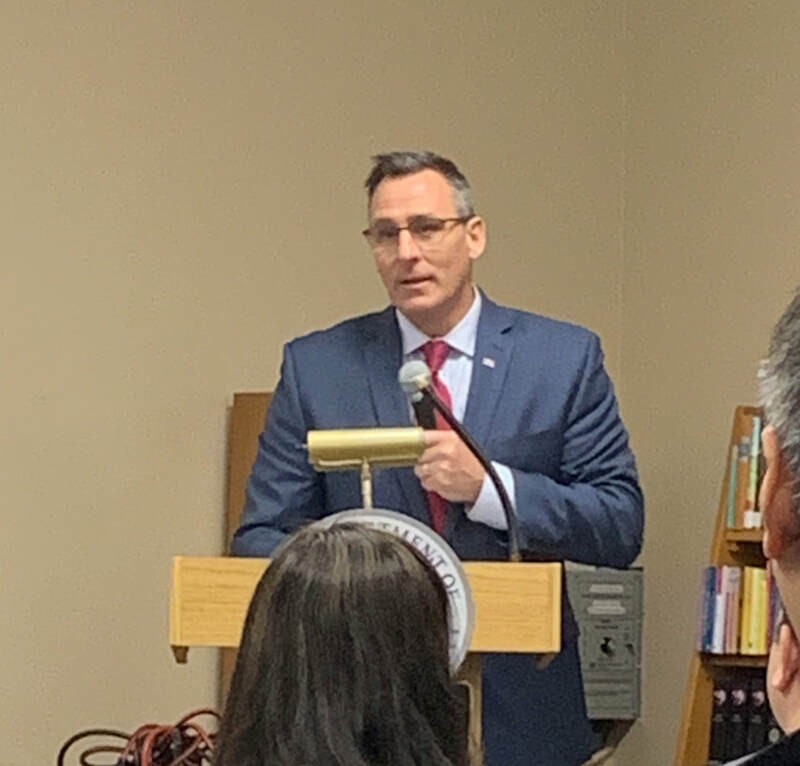 Additional remarks were provided by Bergen County Freeholders Mary Amoroso and Germaine Ortiz. Mayor John Birkner provided closing remarks, and acknowledged that Americans are either immigrants or descendants of immigrants and stressed that Westwood is an inclusive and open community. 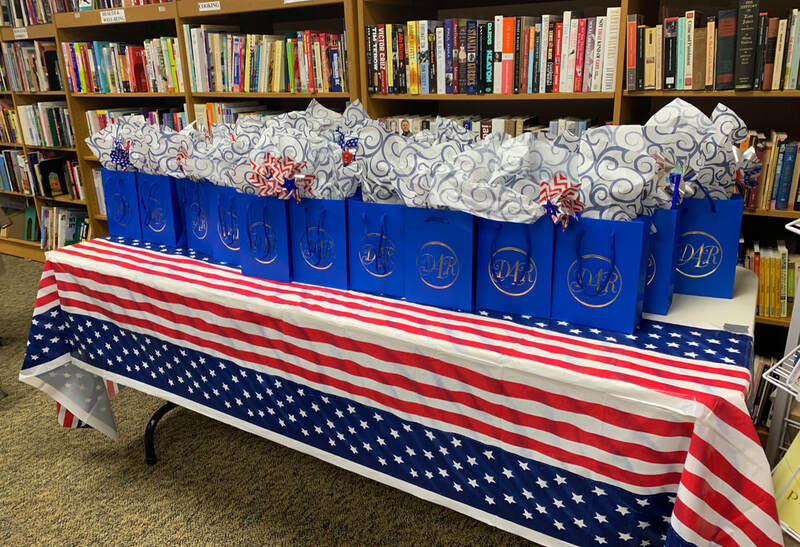 Westwood Library Director, Martha Urbiel found it very fitting to have the ceremony at the library, a public space open to all.